Dan graduated from Cambridge University in 2008 and has worked in companion animal practice in Kent since then. He joined Barton Veterinary Hospital in 2014 and completed his Certificate of Advanced Practice in 2018. He is especially interested in diagnostic imaging and acts as our radiation protection supervisor as well as an OVI. 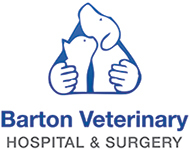 Dan took over as Clinical Director of Barton Veterinary Hospital in 2018. Outside of the practice Dan is kept busy by his two young children and their three cats. Axelle joined the Barton Veterinary Hospital team in October 2018 after graduating in July earlier that year with great distinction from Ghent University, Belgium. Axelle has a particular interest in cardiology. She has a black Labrador called Gex and three horses; Lucky, Tchoumi and Dorito at her family home in Belgium. In her free time Axelle enjoys horse riding and travelling. Emma graduated with distinction from the University of Edinburgh in 2017 and joined the Barton Veterinary Hospital soon after. She has a particular interest in medicine and diagnostic imaging . Emma owns a three-legged cat called Jeff, who she rescued after being brought into the practice as a stray. Chris qualified from the University of Glasgow way back in 1981. He spent part of his early career in academia where he developed interests in internal medicine, ear disease and especially in cardiology. He has published widely and is now a Fellow of the RCVS (Royal College of Veterinary Surgeons). Chris gained the RCVS Diploma in Veterinary Cardiology in 2001. Chris has owned many pets: cats, dogs and small furies such as guinea-pigs. He currently has two dogs; a Lurcher called Tallulah and a scruffy cross-bred Terrier called Jemima. Naz graduated in 2014 from the University of Las Palunas de Gran Canaria and joined the Barton team in July 2018, having been in general practice previously. She has an interest in ophthalmology and surgery, and will start a certificate in ophthalmology in early 2019. She has two cats called Katsu Curry and Trufa, along with a little rabbit called Garcey. In her free time she enjoys dancing and travelling. Jean-Benoit is our visiting specialist surgeon for complex cases. He graduated in 2002 and undertook a residence in small animal surgery in Cambridge between 2005 and 2008. He gained his European Diploma in surgery early 2009 and has been offering a mobile service since. Jean-Benoit offers a comprehensive surgical service, including specialist orthopaedic procedures such as TPLO, total hip replacement and elbow replacement. He is thorough with his explanations and helps pet owners to make the most informed choice regarding the best procedure for their pets. His schedule is busy but he always tries his best to fit cases in to avoid you being referred to somewhere miles away.